In response to the previous post on needing more business bloggers out there, Valda van Dyk has taken the plunge and stepped up to the plate! 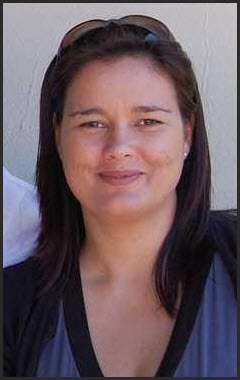 She lives in Cape Town, South Africa and has completely embraced SharePoint as a way of life after coming from a project management background. Valda also has some webmaster and graphics skills that can only help in making SharePoint do what she needs it to do. She’s been working in the financial and insurance industries where plenty of end users live, and she walks the journey with them every day. For all you aspiring bloggers out there, you know how terrifying the thought is of actually documenting what you think publicly right, so we have to take a hats off to anyone that does that for the first time. Let’s support her by following her, commenting to say welcome, and spreading the word to other business users that we have a new community contributor in the mix. All new and aspiring bloggers need encouragement, it’s a very scary thing to do. Well done Valda. I really like your first posts. Looking forward to reading all about your journey and watching you go from strength to strength. Welcome Valda! That South African SharePoint community just keeps getting better!